News from ACEE: Share your Environmental Projects and Win! DEADLINE OCTOBER 2 Let's Celebrate your Environmental Project! Any teacher that shares their project will be entered in a draw for a $50 MEC Gift Card - we will be drawing 5 names. We'll invite 20 teachers and some of their students to the celebration on November 4, 2017 in Calgary. Thank you to our sponsors for making this event possible including the Community Fund for Canada’s 150th and Alberta Beverage Container Recycling Corporation. 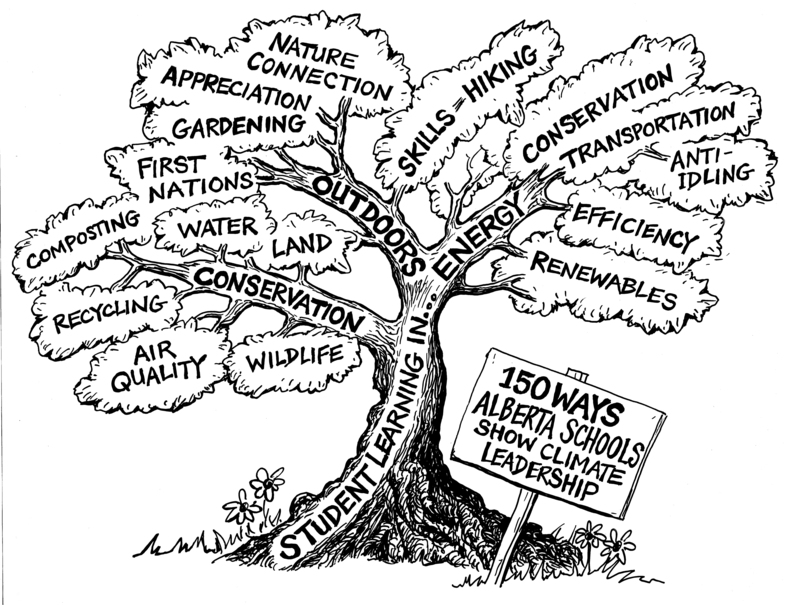 In the fall of 2017 and winter of 2018, we will be hosting full day sessions in communities across Alberta that will dive deep into best practices for climate education and outreach and give you the time to consider how you can begin incorporating these practices into your programs. These two September workshops saw over 300 people participate to learn from George Marshall with Climate Outreach. You can follow the conversation on Twitter - #talkingclimateyeg, #talkingclimateyyc. Singing for the Climate - a success example - more than 80.000 people in more than 180 Belgian cities and communities sang the song "Do it Now"
Students submit a proposal that answers the question: What can you do to improve your watershed? Finalist present their ideas to a panel and along with a cash prize of $1000, successful projects will be eligible for funding to implement their idea. 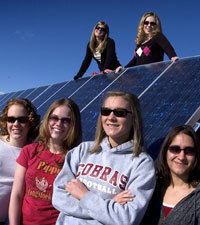 Do you have an idea for a project that could reduce the environmental footprint of your school? Alberta Environment and Parks (AEP) could help make it happen! The Climate and Environment Student Action Challenge invites Alberta students from kindergarten to grade 12 to develop a school-based initiative or project that will address climate change or minimize other negative human impacts to the environment. Students are invited to submit their project idea for a chance to win one of 10 grants (maximum of $1,000) that can be used to turn their proposal into a reality – and give them hands-on experience tackling an environmental issue that directly impacts them, their school or their community. Successful applicants will be selected from each school level (Division 1, 2, 3, 4). Deadline for applications is October 31. Do you have an event or workshop you would like shared? ACEE posts oppportunities on our website and newsletter. Contact Kathy Worobec, kathy@abcee.org.